This is a good time for looking into purchasing your first home. Owning a home throws out a lot of hassle you go through with renting, such as: application fees, pet rules, nonrefundable security deposits, decorating, and renovating. Here are just a few of the major advantages to owning a home. You have a place you can call your own. Fixed Rate Mortgage = no more rent increases! This is your canvas and you can do what you want with it. Decorate and renovate however you picture your dream home. Sometimes major tax deductions are included. When you pay off a mortgage....you no longer have a bill to pay! Not only do you have all of these advantages, but you are also saving money in the end. 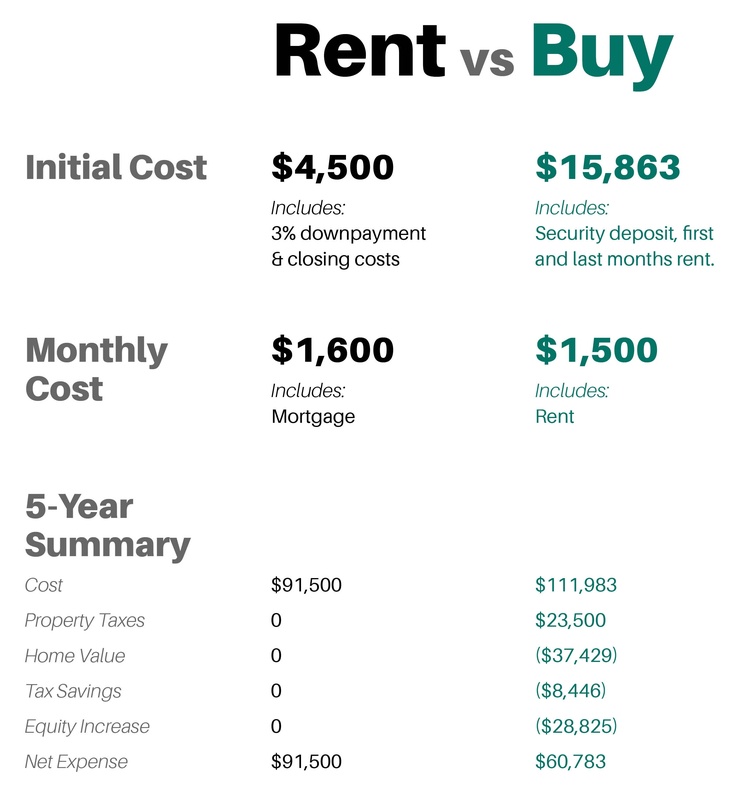 Over 5 years, buying has a $39,000 advantage over renting. It can be even greater depending on taxes and appreciation in your market. For more information on the home buying process, call one of our experts today!